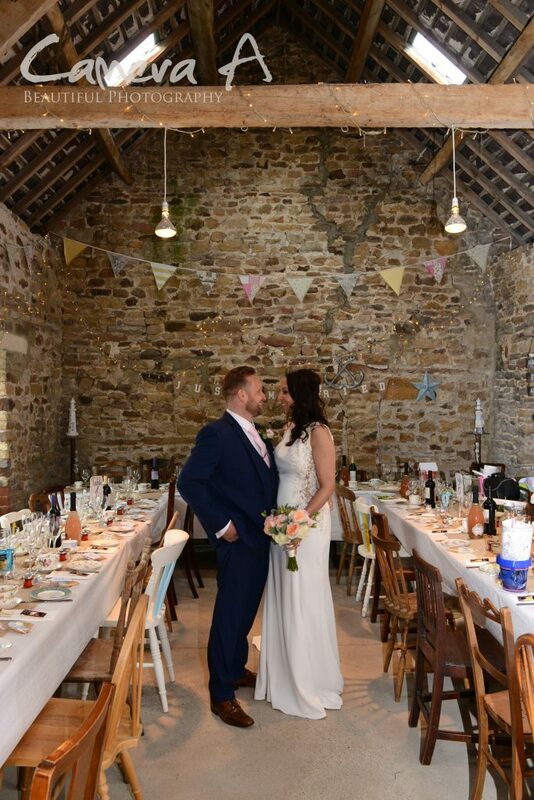 Low Gingerfield Farm, and what a beautiful venue it was with lots of gorgeous places to take pictures! 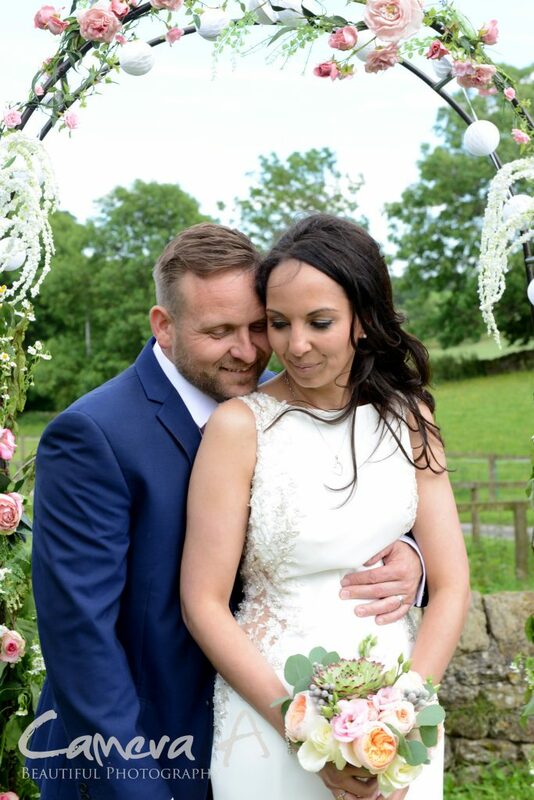 We were so pleased that the sun was shining for the Bride and Groom to get married outside. 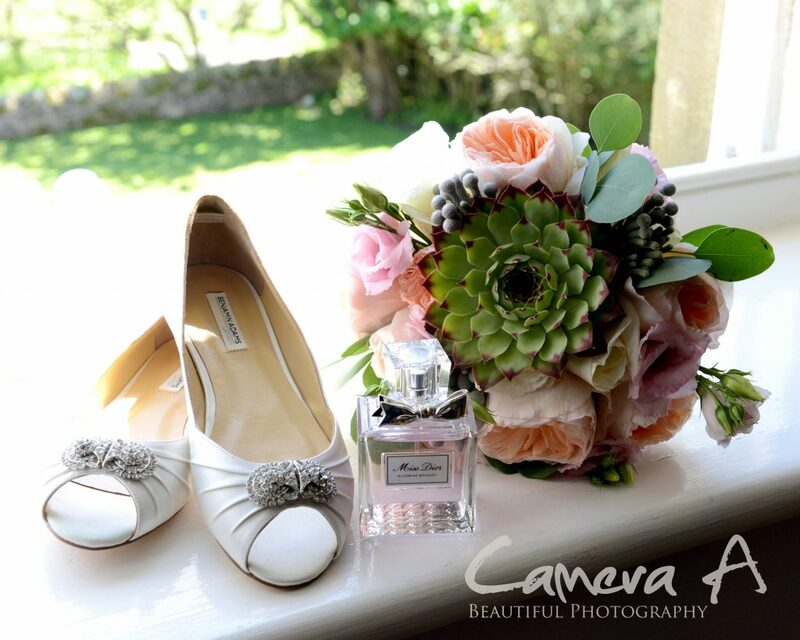 The Bride had amazing flowers which had succulents in them thanks to Elise Flowers! We love to see something so unique and different. Aliscia treated herself and the girls to a pre-wedding McDonalds and all the bridesmaids had lovely pink dressing gowns, with the bride having a white one; these where great for some posed pictures of them all before they got changed into their dresses. 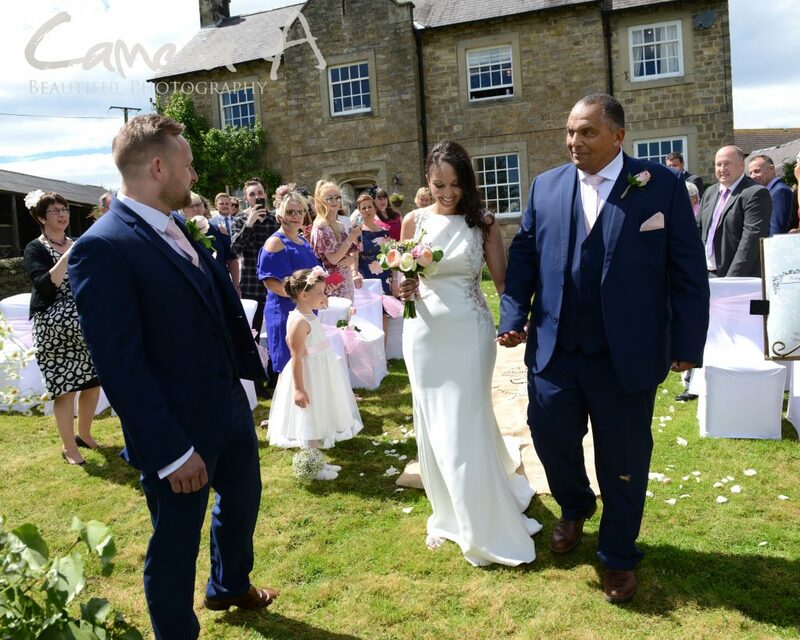 We loved Aliscia’s dress, it was traditional with a modern twist! It was a flower laced bodice with diamontes, and a low cut back, she looked amazing! The groom sent over a lovely gift of a painting for the bride of two cows in a field of flowers, Aliscia was very pleased with her gift being an avid fan of cows!! Over at the groom’s house they seemed pretty organised, all dressed and ready to go. Adrian seemed very excited to see his beautiful wife to be. 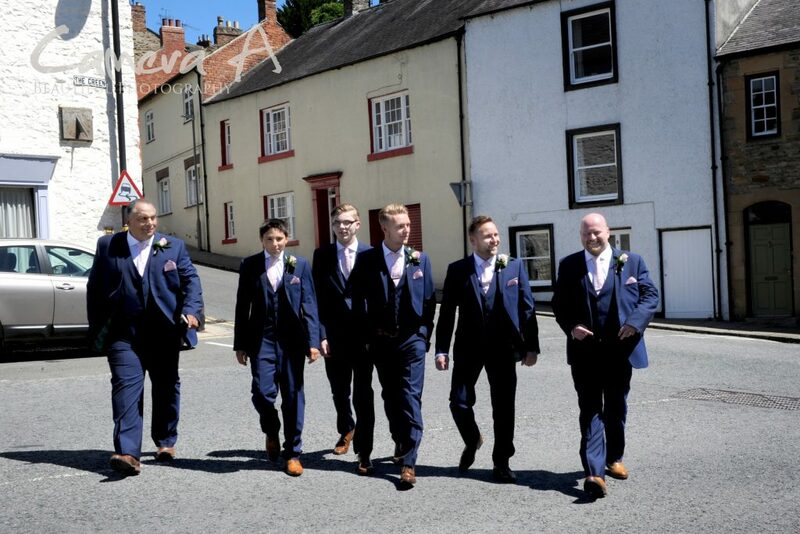 Adrian gave all the Groomsmen and best man gifts in a wooden box with their names and the date of their wedding. Some of the gifts included whisky, cufflinks and socks to wear on the day. This was a lovely touch! 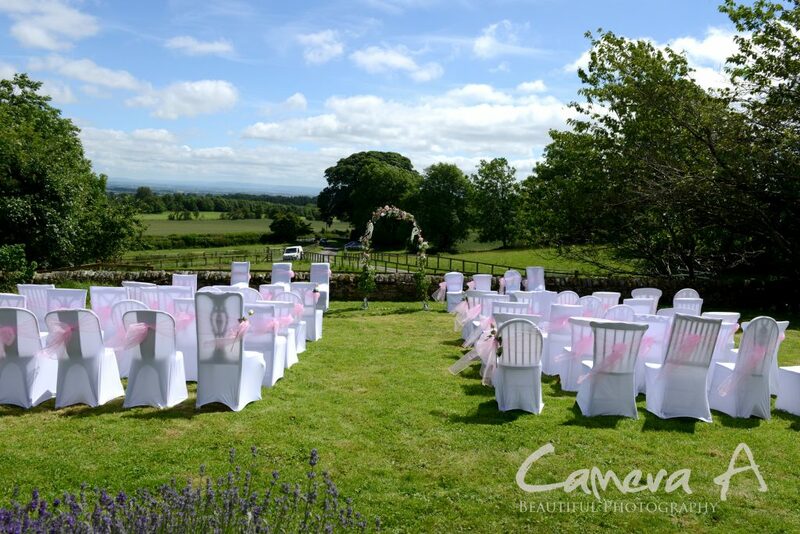 It was soon time for the ceremony and guests gathered in the beautiful gardens of Low Gingerfield to await the bride’s arrival. The views over rolling countryside where stunning, but everyone turned to watch Aliscia walk down the aisle towards her groom, both of which had huge grins! The ceremony was a lovely humanist ceremony with funny and emotional readings by the bridesmaids, hilarious tales of how the couple met on a dating app and everyone blessed the rings by passing them round all the guests. After the ceremony Aliscia and Adrian walked back down the aisle, hand in hand, with the guests throwing confetti over both of them. 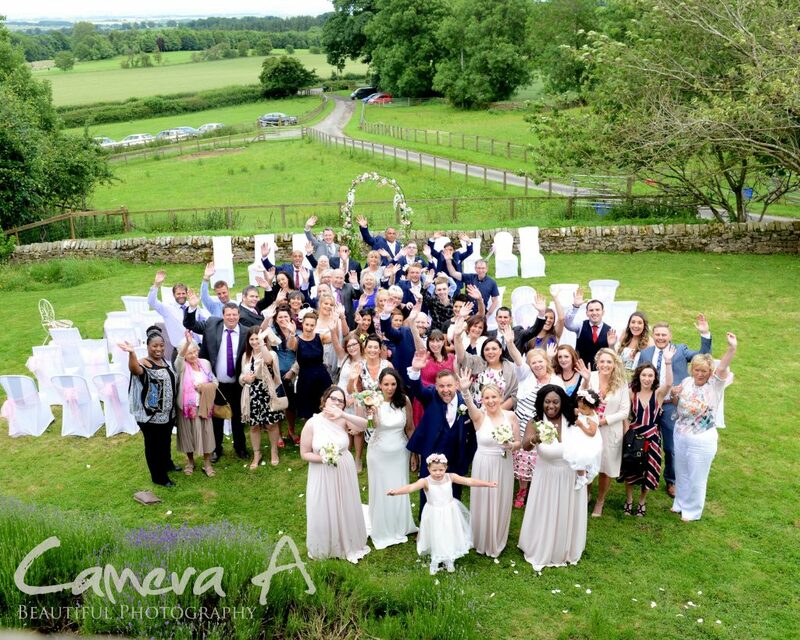 After the ceremony we got lots of group images that the bride and groom had organised with us beforehand, lots of casuals of the guests and plenty of images of Aliscia and Adrian around the beautiful grounds of Low Gingerfield farm. 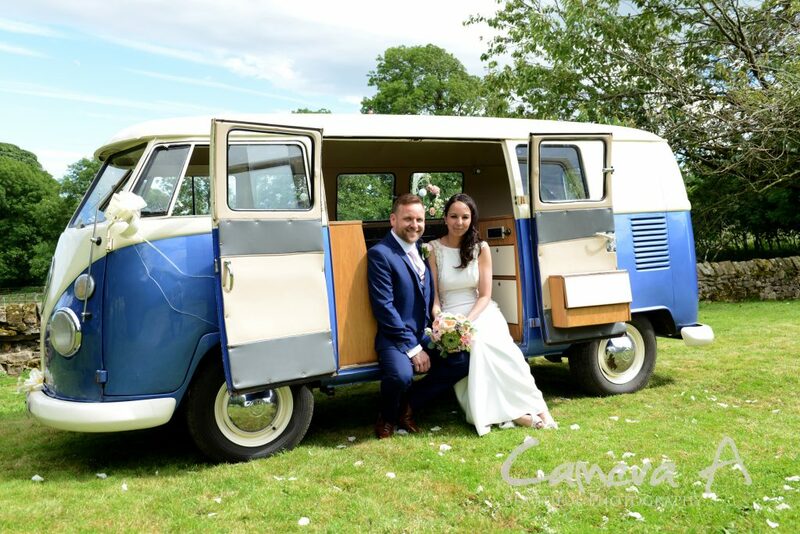 They had an amazing blue campervan called Monty from The Camper Van Company as their wedding car. This looked great used in the photos of them both! 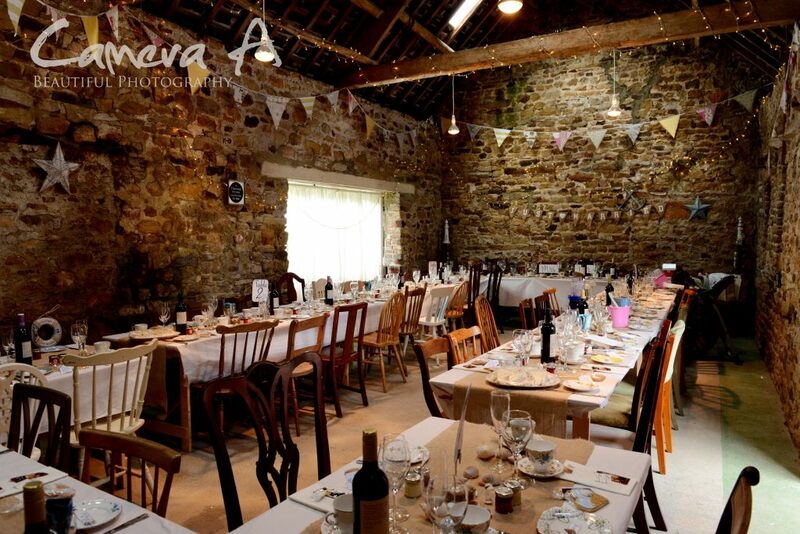 The wedding breakfast was served in a rustic barn and was wonderfully quirky. All the wooden chairs were mismatched, as were the vintage mugs and crockery, and little sand buckets with colouring books were provided for the children, it all came together beautifully. 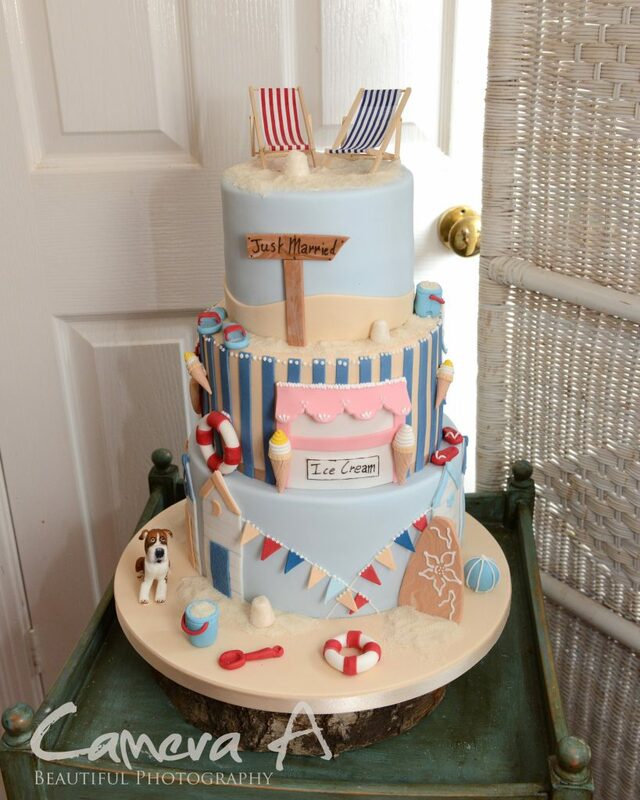 There was a beach theme that we loved, with a beach hut table plan, sand buckets for the children, beach themed biscuits on the tables and even a beach themed cake with deckchairs and an ice cream hut. There were lots of cute quotes around the room such as “take me to the beach”, “you’re the only fish in the sea for me”, so much time and effort had been put into the decoration and it definitely showed. It was the perfect day for a wonderful, fun-loving couple and we wish them health, wealth and happiness for their future together.